With nearly 72 years combined experience, The Carey Bros deliver the best home improvement info via their radio show, podcasts, and website! Handy Hints for Solar Lighting and a Tidy Workshop! 10 Things Nobody Tells You About Plywood... And Fluffy Towels! 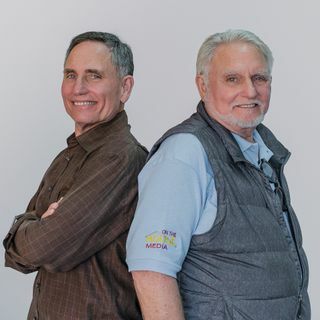 With nearly 72 years combined construction experience, the Carey Brothers deliver solid information via their nationally syndicated home improvement media machine to help you fix it, build it, maintain it, and improve it! Whether you’re a pro or a DIY weekend warrior, On The House with the Carey Bros. will guide you to be a prudent buyer ... Más informaciones and get the best bang for your home improvement buck. On The House and the Carey Brothers created this evolving resource of information so you can easily create your own Dream Bathroom. This site provides information from across the web, partners and our own experiences all in one place - so you can easily begin your Dream Bathroom journey.